They’re in a better place now. Okay, yeah, I got that and yes, they are. They went together. Got that one too. The only comforting part of that scenario is understanding that neither of them will ever have to endure life without the other, as is inevitable for the majority of couples. They’ll remain forever young. They will, but there’s nothing wrong with growing old and holding grandchildren and experiencing the years when it’s a little harder to hit the ground running in the morning. Death occurs every single day. In each instance lives are forever changed. Sometimes we’re better prepared. This time we were not. They were in their prime. They had parents to usher through the last years of life. They had future grandchildren to hold, a son’s shoulders to pin rank on and a daughter to someday walk down the aisle. They had friends to meet for dinner and a summer vacation in Europe to plan. They had more sunsets to watch over the Potomac, cocktails in hand. Today, the news of their passing is still sinking in. On my walk this morning I crossed over a small bridge and heard a lot of splashing. Out of the corner of my eye I saw a row of rather large turtles bailing into the water, one after the other, startled at my passing. I paused to count them as they surfaced….nine of them, coming up for air only after disappearing into the safety of the water. All except one. One lone turtle who stayed on that piece of concrete, totally unafraid of me, soaking up and enjoying the sun, just as he was before I happened by. He was eyeing me but darned if he was going to be disturbed during his enjoyment. I’m not sure if it was Joe or Sue who was sending me a message, perhaps both. Perhaps I just needed to find some comfort and clarity and was looking for it too intently but I like to think that the message is this…..don’t be afraid, keep soaking in that sun, enjoy each and every moment. And do it for us, because our tomorrow didn’t come. Thanks for all the memories. Thanks for all the meals shared at your table, the miles spent hiking in the Black Hills with bottles of wine and feasts of bread and cheese in your backpacks. Thanks for the thousands of smiles and your welcoming hearts. You showed us all, by your example, how to dance. And dance on, we will. But not without hurting. You have so eloquently captured their spirit. May it live on in their memory. Such a beautiful tribute Julie. Sue’s radiance lives on in all of our hearts. And Joe’s sweet smile. I’m so sorry for your loss and the loss to the AF family. Thank you so much for the photos and for capturing what both my head and my heart are speaking to me. I so love the turtle image and purpose to be the tenth. Today I am asking the Holy Spirit to break off all trauma from the friends and family that we may go forward and live life as He has designed for each of us, although this is a huge loss. 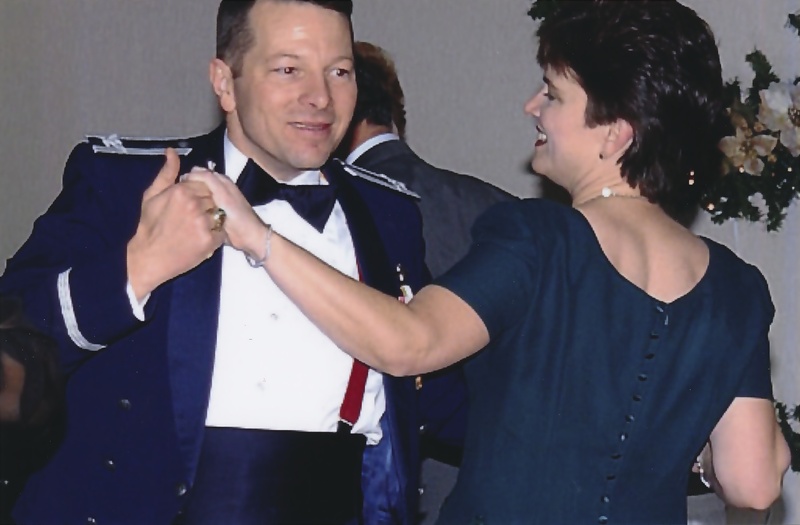 Julie, my heart is so heavy for our AF family, it seems we have had so many non-combat related deaths this year. This is a beautiful post, thank you so much for writing and sharing. I will continue to pray for the Brown’s family, for you, and for all those who are grieving their loss. I’m sorry to hear about your friends passing. Your words are full of love and happy memories of the times you spent with them. A beautiful tribute that will live forever. Friendship we carry in our hearts even if they are no longer with us. My thoughts and prayers to the Brown family. My wife and I only learned about this tragedy today. We have been good friends with the Browns since Abilene where we raised our kids together. We have kept up with each other but our lives took different courses and we didn’t see each other nearly as much as we wanted to. You captured their spirit so well. Joe and Sue were the Air Force professionals we all wished we could be. More so, they lived life to the fullest and that was something else we should all aspire to. We need to be the tenth turtle and keep our memories close to our hearts.